In 1969, during the final weekend in June, drag queens and queer street kids rioted at the Stonewall Inn in New York City. The Stonewall riots marked the beginning of the gay liberation movement that has transformed the oppression of the LGTTQQ2S community into pride. 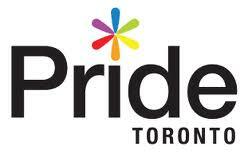 Pride Toronto has been in existence in various forms since the late 1970’s and annually since 1981. In the early 1970’s there were Gay Days picnics that were held at Hanlon's Point, moving later to Cawthra Park, with ceremonies on the steps of the 519 community centre, and Pride Toronto's first-ever beer garden. In 1981, police raided various bathhouses that motivated gays and queers and their supporters to organize a major demonstration held at Yonge Street and Wellesley on the day that followed. This event raised public awareness of queer issues. In 1984 for the first time Church Street was closed and people danced in the street. Pride Toronto's first Pride Committee was created in 1986, and in 1987 sexual orientation was included in the Human Rights Code. The momentum built up and in 1991 the City Council proclaimed Pride Day for the first time and 80,000 people celebrated. June 29th 1996 the first Dyke March met at the 519 Community Centre. Toronto Dyke March founders Lesha Van Bij and Lisa Hayes work with a handful of volunteers to organize a successful Dyke March with 5,000 participants. The Dyke March is now a year round engagement, a beacon to Dykes and Trans people everywhere and a signal that Dykes and Trans are needed, valued and welcomed. Since 1996 the Dyke March continues o raise awareness of Dyke and Trans' visibility in the queer community, and the Dyke March has become a tradition in most cities across North America. This application is for “The Commemoration of Stonewall's 50th Anniversary”, taking place June 1-23, 2019 in various locations in downtown Toronto. Pride Toronto will present special programming around the themes of the 50th Anniversaries of both the Stonewall Riots and the decriminalisation of homosexuality in Canada. Programming will address both the legalisation and acceptance of queer identities and the birth of the LGBTQ2+ movement in the same year. Special programming will include: (1) Organizers will transform a disused store front at the corner of Church and Wellesley into a popular New York LGBTQ2+ venue of 1960’s nightclub scene and DJs will be placed throughout the 25-block site playing music evocative of late 60’s New York. A Drag Circus troupe will perform at the recreated Stonewall site and will be featured in the parade and street festival. Laverne Cox will speak at the Stonewall 50 Gala; (2) Collaboration with an indigenous art collective (tbc) to develop an exhibition on the 2-Spirit narrative. This exhibition will form the centre of the launch of Pride Month on June 1 at the Art Gallery of Ontario; (3) Collaboration with Indigenous Day Live to present joint programming on June 22; (4) An Indigenous Arts and Cultural Fair at Allen Gardens; (5) Special dedications to the 50 Years of Decriminalisation of Homosexuality in Canada at the Trans March and the Dyke March, both of which will feature prominent Canadian activist leaders. There will be a gala event featuring Justin Trudeau as the main speaker; (6) A human rights panel on trans activism featuring either the cast of Schitt’s Creek or the cast of Pose (with Ryan Murphy); (7) A human rights conference on trans activism featuring young trans people from all over Canada; and (8) “Final Play”, the free concert that closes out the Festival weekend, headlined by either MIA or Robyn at the main stage at Yonge Dundas Square. The concert will feature key up and coming drag acts from across the world.